Note that this family is a mix of species with 4 or 5 petals. The Centaurys: The Genus Centaurium - Flowers rose to pink in color. The Gentians: The Genus Gentiana - Corolla funnel-shaped and typically over 2 cm long, the petals united and the lobes shorter than the tube. Plants are typically large perennials. The Gentians: The Genus Gentianella - Corolla funnel-shaped and typically less than 2 cm long, the petals united and the lobes shorter than the tube.Plants are typically smaller annuals. 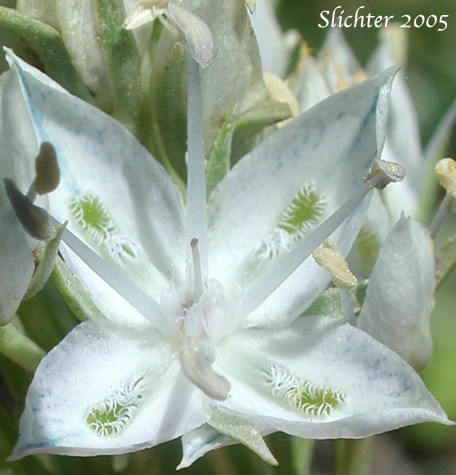 The Swertia: The Genus Swertia - Corolla not funnel-shaped and the petals barely if at all united into a tube. Plants are small to large perennials.